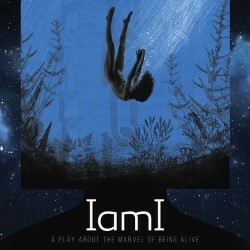 IamI is an intriguing, minimalistic show that will touch the deepest of your senses. 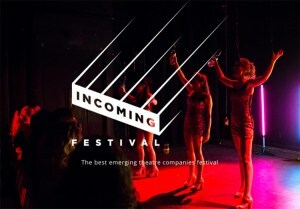 A multi-media dreamscape from From the entrancing beginning until the beautiful end, the show hooks the psyche as we flow along the impressive playlets of each of the actors. mortal being with a mirror for a face, Iam. It follows Iam and an eclectic grouping of people: Aila, a woman who has drowned herself; Deos, a man who has been ritualistically sacrificed; Feriluc Maydie and Wellesley Kelvin, a clairvoyant and an explorer who’ve accidentally died as a result of contracting cholera. Of these, a special mention must be made of the main character Aila -a powerful talent with sublime acting abilities. As we progress through the play, we hear delicate and very clear speeches drifting from subject to subject; from life to death, from love to loneliness, & at times I could barely keep my emotions inside. I could hardly keep my eyes off the stage, whose atmospheric action was perfectly enhanced by the marvelous sound effects & the use of simple colors, of blacks & whites… once again reflecting the theme of life & of death. The ethereal world they create is an amazing alternative to the bustling world pf Scotland’s capital city, only a few steps away from my seat. But as I sat in wonder, for a brief few minutes that world had completely disappeared as I found myself immersed in this wonderful play. FOUR STARS. Posted on August 13, 2015, in Uncategorized. Bookmark the permalink. Leave a comment.